Multi-Fuel has an electronic ignition system, so you don't need matches or batteries to light it. It includes a convenient carry/storage case so its always ready to go. 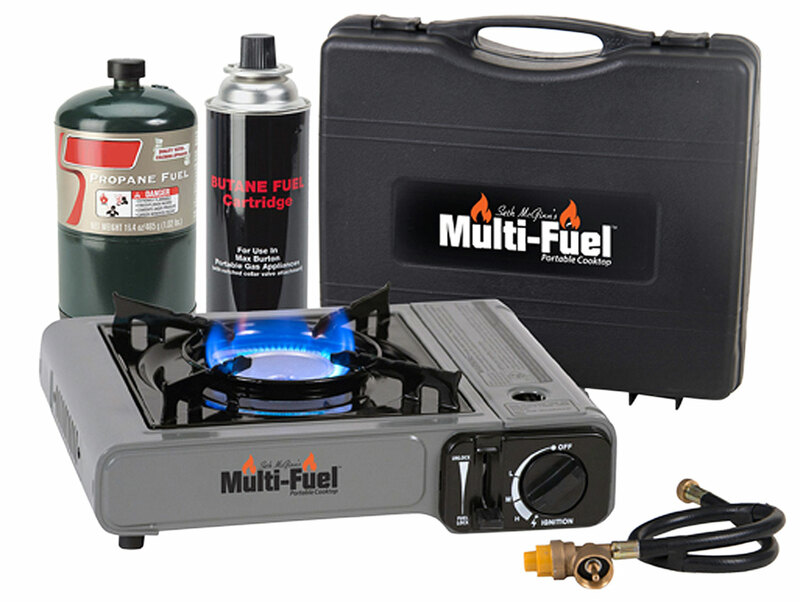 Multi-Fuel uses standard 8 oz. butane and 16.4 oz. propane canisters that are sold separately.